Today a complete change to my cycling routine; late this afternoon I pedaled 22.1 miles on my Schwinn 170. Definition: Obsession – An idea or thought that continually preoccupies or intrudes on a person’s mind. Need I say anything more? Blood sugar screamed up 13 points this morning and I know the most definite cause. The Fresh Market positions all its candy and confectionary displays just before the check-out registers. Hell it’s like walking through a minefield. Oh and last night I made some frozen yogurt – Strawberry Banana and White Chocolate. I've had an ice cream maker sitting in my small appliance pantry for years. Well it still works. 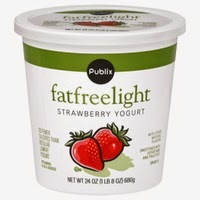 Ingredients – Strawberry Banana yogurt, Half & Half, Sugar, Frozen Strawberries, and White Chocolate. Sorry no pictures…bit it was so, so good. And did I ever labor. I am allowed indulgence once every couple of months, period. 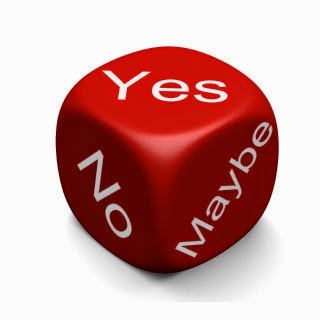 The choices do not make any sense, and it appears that the voting public truly is just playing a game of political chess without any sense or grasp of the beneficial rules or techniques. 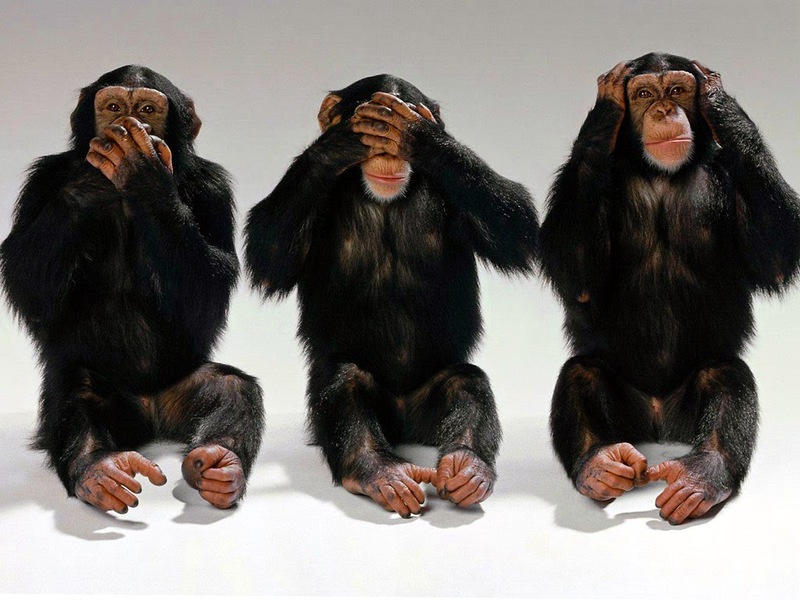 It is a game of complete confusion when the current political ads, even though I never believe or trust political ads, are each using the analogous Duke Energy fiasco to blame each other. Enough said. We have completed and mapped out our design of the quilting for our new HKM-A quilt. The quilt sandwich has been created and the project continues. Jim’s Trek – 48,149 pageviews. This morning I kept pedaling on my Schwinn 170 and completed 22.3 miles. My grand total to date is now 12,418.7 miles; 19,986.0 kilometers. Just 14.0 more kilometers and I hit 20,000. I think the US should convert to metric. I like the bigger numbers. My location, same time and almost the same place on a beautiful virtual day in Western Australia. I have now traveled 3,801.6 miles, 6,118.1 kilometers in Australia in Jim’s Trek III. Exercise done. Don’t know where my mind is today. 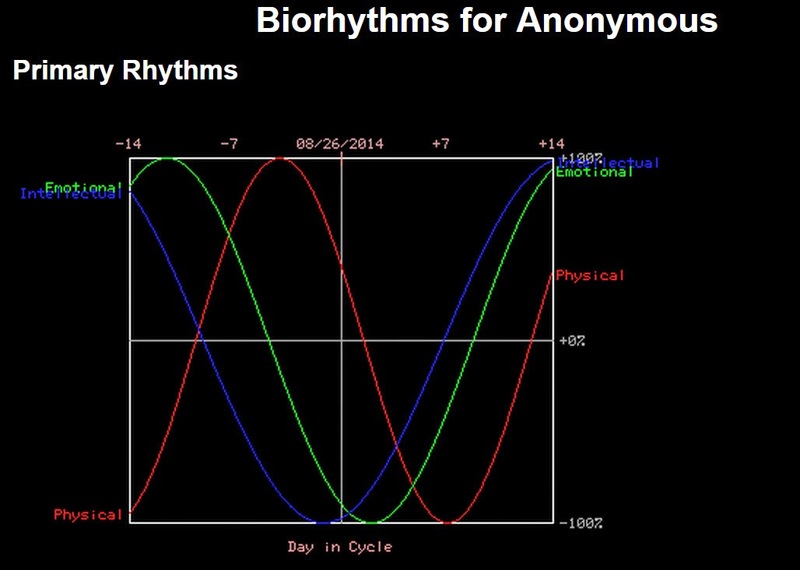 Oh yeah, my biorhythms are way down in the valley for the next week. Quilting design has been chosen for our new HKM-A quilt. Supper last night another experiment. 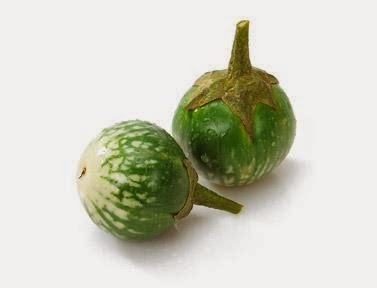 I finally used my Bron Mandolin to julienne zucchini. Hell-bent-for-leather all these years and I never thought to read the instructions. 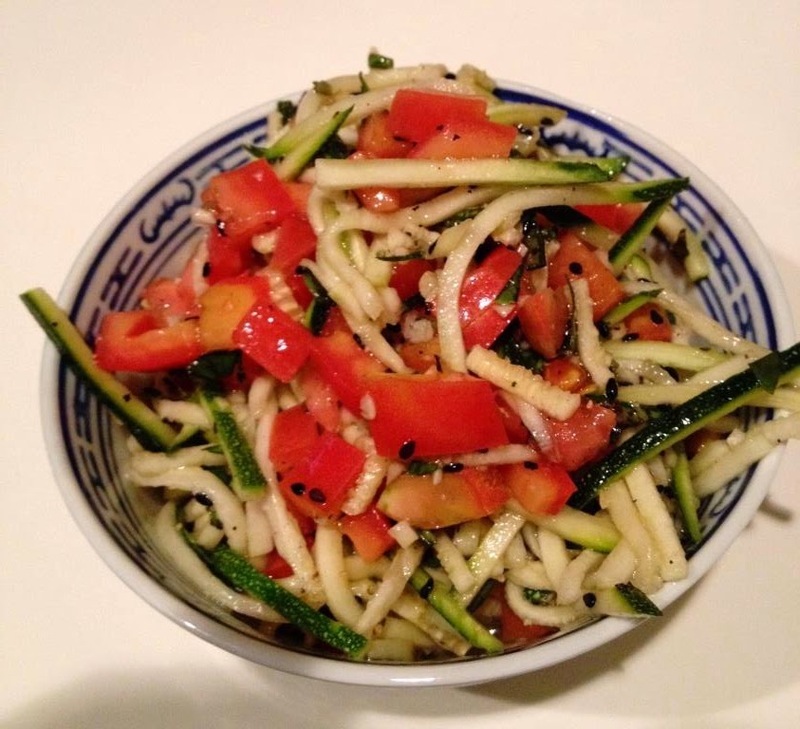 And my production was a Zucchini Tomato Slaw. 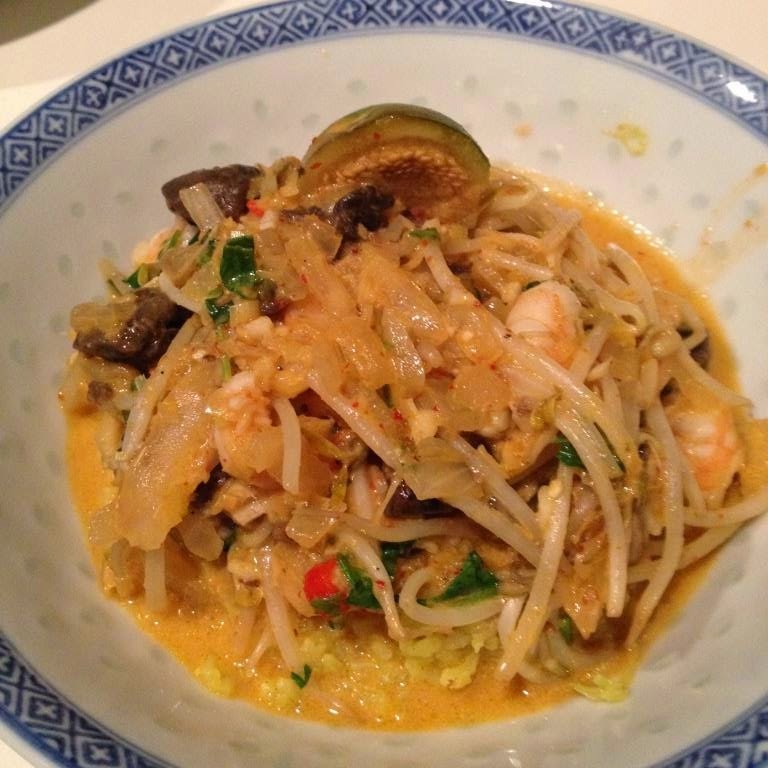 My main dish was a Thai Shrimp and Eggplant Curry on rice. My blood sugar count this morning honed in at 92, 2-points down from the day before. Who said I do not eat well? Jim’s Trek – 48,062 pageviews. There appears to be a slight upturn of late of visitors to Jim's Trek. This morning, I'm back on my Schwinn 170. I pedaled 21.8 miles. And for those of you who are asking I have pedaled a total of 12,396.4 miles; converted 19,950.1 kilometers. This is the 606th day of Jim’s Trek. 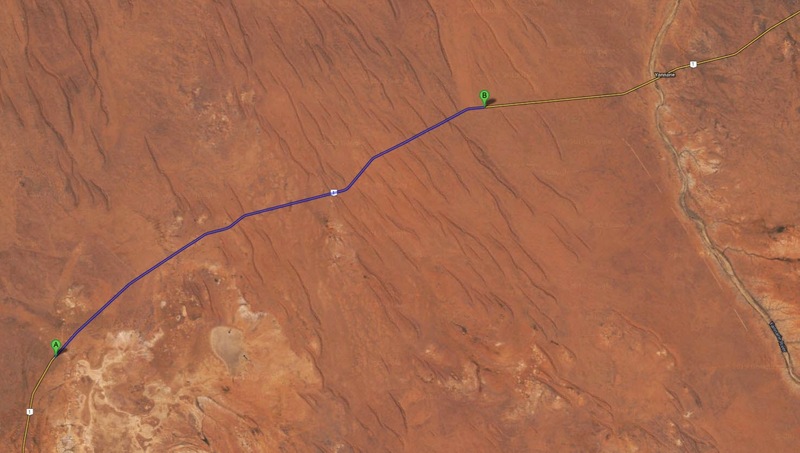 From 2 miles up you can see that I am located, on my virtual Trek in Western Australia on National Route 1. That’s me now at the “B” marker. The distance between "A" and "B" is 21.8 miles, as the Google crow flies. I am headed in a westerly direction and it looks like I am closing in and a place called Yannarie. From all that I can find I think it is some sort of rest stop at the Yannarie River. But everything looks red, rust-red, deep orange rusty red. I am now 731 miles from my next set goal and destination point. I know I began my Trek and crazy journey on December 2, 2012. 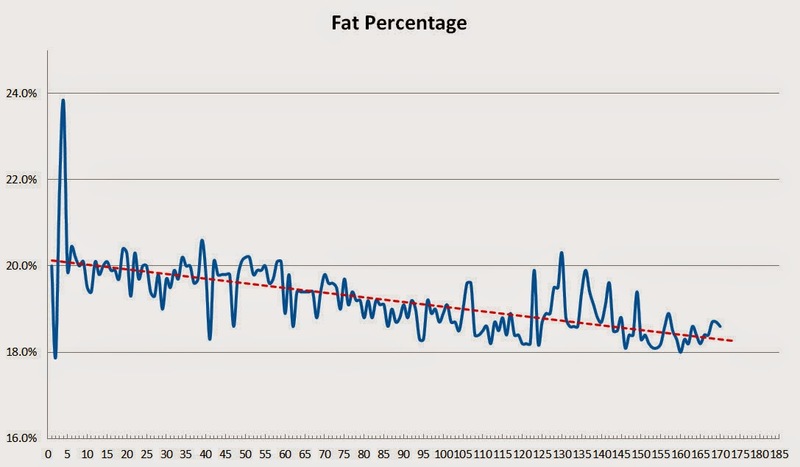 On March 12, 2014 I decided to start tracking my body fat percentage. Hell, I read some place, somewhere that it may be a good idea to set a reasonable goal, and I did. I’m trying to reduce my body fat percentage to 18%. A chart I found on About.com – Low Carb Diets indicates that a healthy fat percentage range for a man between 61 and 79 years is 13% to 25%. Since I began tracking my average is now 19.2%. Check out the graph; the red dotted line is my downward moving average. My goal is an 18.0% average, and I am almost there. I'm not ready to set the 17% goal yet. Had Bright House Echo installed in the house yesterday. I cannot believe how many devices there are in this house where I had to change the sign-on IDs and passwords. Damn! But you would not believe the expediency of the upgrade to the Wi-Fi service. And the nice thing I discovered, (always read the fine print), is that as I already have the ultra-speed Internet service through Bright House I do not have to pay any additional charge for this new upgrade. Nice savings… or should I say, tongue in cheek, what was I paying for before? Jim’s Trek now counts 47,882 Pageviews and is averaging just over 75 a day. Not bad for this weird real and virtual exercise journey. Day 175 ½ – (AD 605 ½) – Jim's Trek Part III – 0 Miles – Today I Am Taking My 29th Day Off. This morning I decided to take the day off from pedaling my Schwinn 170. Today is the 29th day that I have not cycled since my start date of December 2, 2012. That is 605 days cycling, 29 days not cycling… I think I can manage the guilt. >My fasting blood sugar dropped another 3 points this morning to 90. 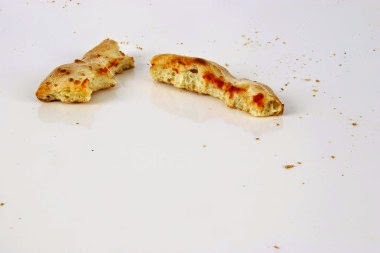 What seems to help to maintain a reasonable blood sugar count is a good and almost 12” pizza and not eating the majority of the crust, that is, the outer thick edge of bread. And I am not referring to a deep dish Chicago-style pizza. I spent some time yesterday trying to make heads or tails of the new and improved classification of my Y-DNA. My Smith Paternal Line is now classified as R-CTS7822. Check out my update at A Genealogy Hunt. Jim’s Trek now counts 47,779 pageviews. This morning I cycled 21.9 miles on my Schwinn 170. My total to date is now 12,374.6 miles; 19,915.0 kilometers. I'm at just about 0.3% short of my 50% goal. And the images of my virtual Trek in Western Australia are…well, consistent. Question, if there is so much empty space on this small planet why are we as a human race continually fighting over a specific plot of land or sand? Just asking. I am now 753 miles from my next destination and goal point as a part of my Jim’s Trek III. Yesterday I received the 5th and 6th calls, all with a strong foreign accent and/or dialect with a semblance of attribute to India, Pakistan, Bangladesh, et al. And it was the slimy Windows Service bogus call. Spam alert! On the 5th I answered the call, listened for a couple of seconds to some “gentleman” ask about my Windows Software service and then, without any haste, I pressed the Home button on my phone saddle. The high pitch screech and Pack chorus symphony caused a click within 56 seconds. The 6th call was a different voice, a female one. The 6th caller’s dialect definitely had some rings of the type of British enunciation I grew up hearing. “Meester Smeeth, There must have been a connection problem with our call. Are you in receipt of the documents remitted to you for your Windows Software Service?” A quick click of the home button and holding the mouthpiece at a close proximity created an even higher squeal. Click! Primary elections completed in our Sunny, Shiny State. Signals start and ramp up the slimy campaign announcements and ads. November 4th better hurry up and get here as quickly as possible. My fasting blood sugar dropped 8 points this morning. It registered 93. Supper last night quite simple – Salad, Hot Dogs on the grill, and Scalloped Potatoes baked on the barbeque in a Hobo Pack. Jim’s Trek now counts 47,678 pageviews. Today first thing, 22.1 miles on my Schwinn 170…and this morning I was wondering why I was feeling somewhat blasé. As you can see, my virtual Trek in Western Australia does not offer too much, that is, unless I am thinking about taking up Eremology. I am located on the North West Coastal Highway, and it appears that I am in the middle of, what’s the word, nowhere. A beautiful, and I am sure a peaceful part of the country…and empty, unless you are an entomologist. Well a snack of crackers, cheese, and salami at 10:00 pm certainly does not help to reduce the early morning blood sugar count. I remained stable at 101; still good, but not better. 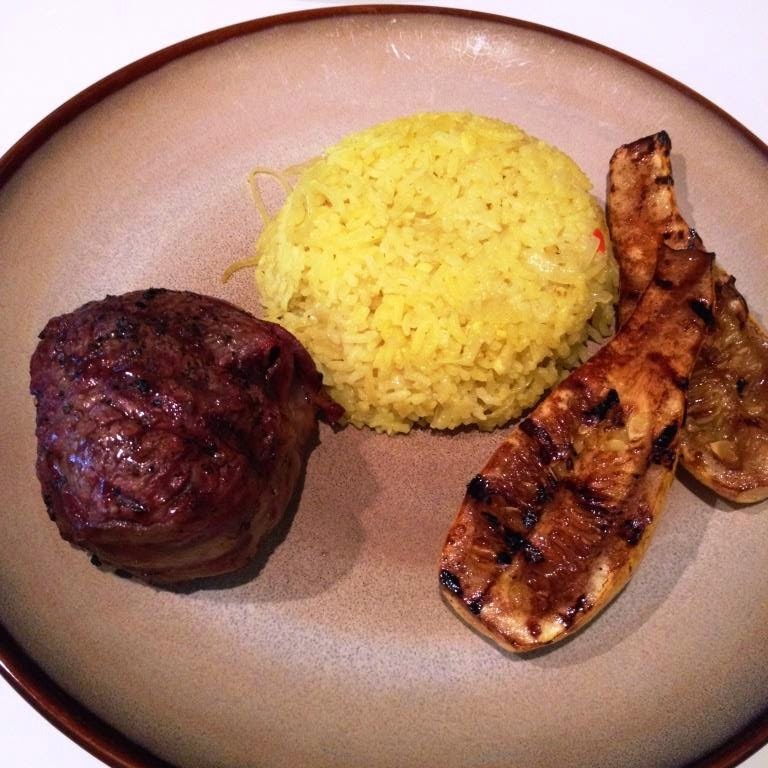 Supper was grilled filet mignon, grilled crooked neck squash, and Thai Festive rice. The plate may look clean and simple but the complementary tastes are well worth duplicating. I am back to work on my genealogy research. Currently I am searching the McAteer family. Check up my latest update at A Genealogy Hunt. 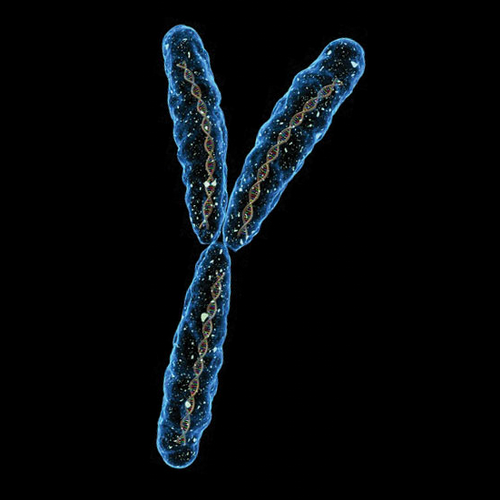 I have been reclassified, that is, my Y-DNA results have been reclassified. 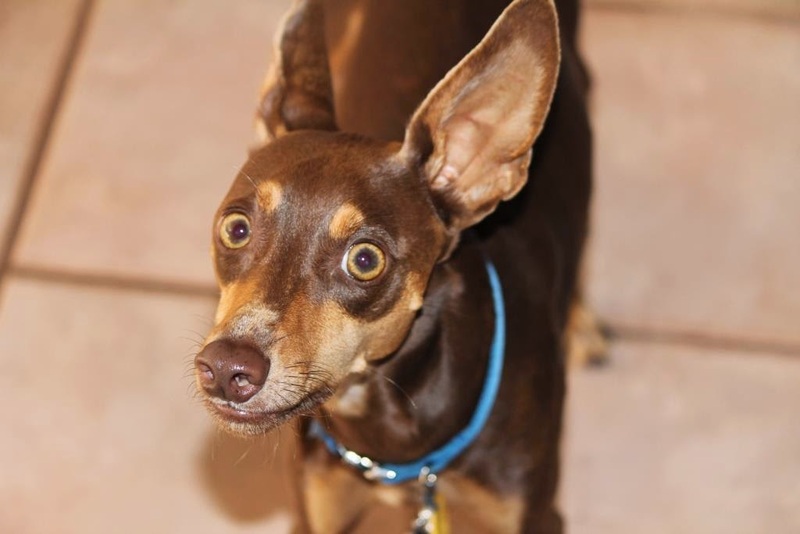 One test came back negative and the other came back positive. My Haplogroup classification at Family Tree DNA and at National Geographic’s The Genographic Project has now been changed to R-CTS7822. This is a adjustment from the previous R-L23. I will be writing up my limited understanding shortly at A Genealogy Hunt. Jim’s Trek is now up to 47,615 pageviews. Okay and the day starts. Another 20.9 miles on my Schwinn 170…and I had to type that line about 13 times as my fingers just are not touching the correct keys on my keyboard. And where I am located in Western Australia I think it is going to be some time before I actually see some green in the 50-mile up satellite Google image. The A-B line is my 20.9 miles this morning. Yup, it’s going to be a dry Trek, virtual or real. Today on my 173rd day I have now cycled 3,713.5 miles, 5,976.3 kilometers as a part of my Jim’s Trek III in Australia. And yes PK, I am sort of obsessed. With all the tensions currently on this small blue planet, will the USA now wise up again regarding the space race? Check out Joseph Stromberg’s article on Vox, “One of these three vehicles will be NASA’s spacecraft of the future”. "NASA's plans originally called for a privately-developed American spacecraft to fill the void by 2015, but annual underfunding by congress has delayed that to 2017 at the earliest." Just thank the far reaching and brilliant thought processes of our illustrious elected officials. Thank you esteemed congress...with a small "c". And yes, there is no intended synchronicity with my virtual image and what may be out there in the outer reaches. Hell, if I knew what I know today and I if I was a tad bit younger I most definitely would be flying to the moon. My blood sugar count bounced up to 101 this morning. Must have been the Velvet Corn Soup I made last night topped with the Cream Cheese Brownie and bowl of sherbet. I had a double serving of the Velvet Corn Soup which I believe was just about 70+ carbs. Oh yeah, I had Mexican buffet for lunch; starch and cheese. According to the site Nutronistics "Mexican restaurants may be one of the tastiest yet most challenging places to eat for someone with diabetes." And I had about #$%@ flour tortillas. Jim’s Trek is now up to 47,554 pageviews. Day 172– (AD 602) – Jim's Trek Part III – 22.1 Miles – I Am Not Lost On My Schwinn 170...I Think. This morning I cycled 22.1 miles on my Schwinn 170. What else is new? I have now pedaled a total of 12,309.7 miles; 19,810.6 kilometers. And I think I found a Google Map error. 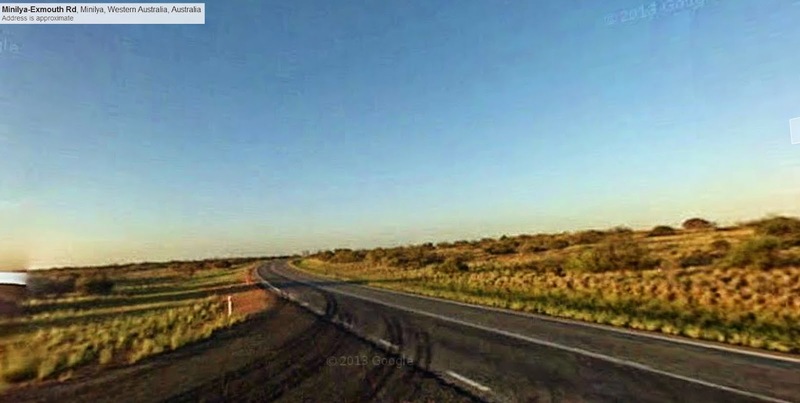 I am currently located headed in northerly direction on National Route 1 in Western Australia. I stopped this morning at a point on the road and I now have 817 miles to my next destination and goal point. But there is no image available by the little drag-on Google character. The images begin once again at the junction of the North West Coastal Highway and the Minilya-Exmouth Road. It appears that the work was last done in March of 2008. Somebody goofed? My image this morning is from the junction. Blood sugar dropped again this morning by 1 point to 89. 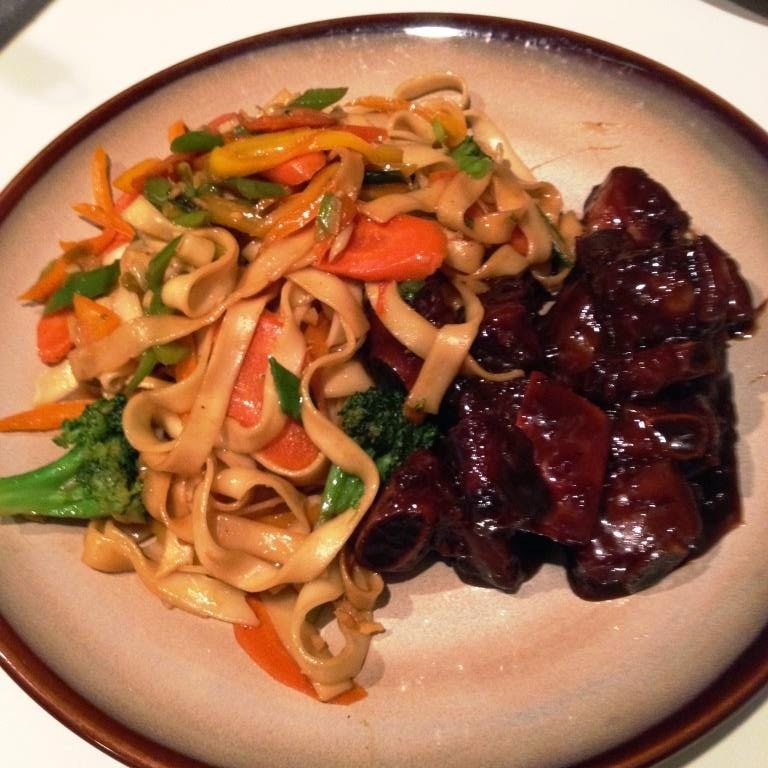 Last night’s supper certainly was good; Montreal Dry Garlic Spareribs and Stir-fried Noodles with Vegetables. I grew up with the Montreal Dry Garlic Spareribs and for the life of me I do not understand why they are not offered elsewhere. They are the best thing since…well I do not know what but I think I can now say that there is a food dish that is my guilty pleasure. And they are so, so good, and sticky, and sweet and garlicky, and good. Question to ask. Just noted a news article that Robin Roberts christens New Goodyear Blimp in Ohio. Check out how she drops the bottle of champagne. And yes I have that exact question. 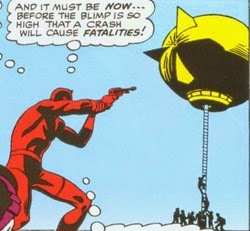 What happens if one broadsides a blimp like is done to a sea-going vessel? Kaboomb! Jim’s Trek is now up to 47,506 pageviews and 630 posts. Today I pedaled 21.8 miles on my Schwinn 170 and completed another 200 sit-ups. I think I am beginning to think that I am getting older. 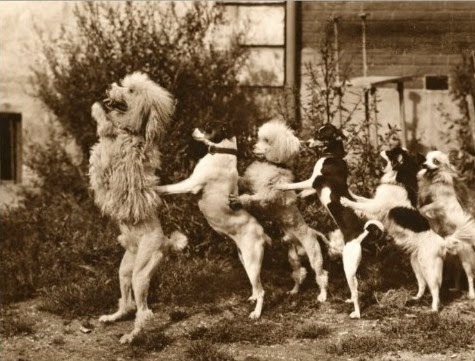 The Pack has increased to 6 canine quadrupeds. That’s all I'm seeing right now in the house. Five of them are all seated roundabout my chair at the PC. This morning, okay early afternoon, I am located on National Route 1 also known as the North West Coast Highway. I’m not sure why it is called “Coast” highway as I am, what appears to be about 40, give or take, miles inland from the actual coast of the Indian Ocean. I am at the intersection of Manberry Road. Just another 839 more miles until my next destination and goal point. My blood sugar is under, what appears to be, control now, thanks to my exercise and diet. This morning the count dropped 11 points to 90. Over the past two weeks it has hovered between a high of 101 and the low 90s. I have gone a year and a month without any diabetes medication. The suggested range, by the American Diabetes Association (per WebMD), for a before meal test is 70-130 mg/dL. And I am falling right smack in the middle of that range. Oh and for supper last night I had about a quarter of a pan of pizza bread, a dish of Spinach Manicotti, two glasses of Shock Top and a bowl of Samoas Ice Cream. I thought I was going to have something with turmeric but that went by the wayside. Tonight maybe some Montreal Chinese dry garlic spareribs. Check it out. Our Tampa Kaleidoscope quilt is a part of and on display at our local store, Keep Me In Stitches. It is taking about 2 hours to quilt each individual block on our new Equality quilt. There are a total of 81 blocks; translated 162 hours of quilting the inner top. And on our domestic machine that is one hell of a lot of starts and stops. This is something that the sages advise to avoid, but who are we to mind the sages. The stencil, inspired by the works of Keith Haring, for the border quilting has been drawn and now it is time burn the acetate. Can anyone tell me why I am most recently receiving a number of “come-on” emails from some youngish-type females? Is there something that I have written or said that appears to leading them on? I keep checking my electronic deodorant. Jim’s Trek has now recorded, at this point in time, 47,427 pageviews. Today is the 600th day that I have pedaled on my Schwinn Fitness cycles; a 150 and now a 170. I did not think that I would last this long. I am glad that I have. I am very pleased with the extenuating, (no late Middle English pun intended), results. This morning I cycled 22.2 miles on my Schwinn 170. Today is also my 170th day of my virtual Trek on my Schwinn 170 on the continent of Australia. And I just noted the synchronicity. Bingo! The above are my virtual Trek locations in Western Australia. "A" - where I started this morning; "B"" where I am currently resting. "A" to "B" = 22.2 miles. Just found out something that I did not know…and I will have to do a bit more research, but I like where this is going. Celebrating my 600th day I was searching for an image and used the phrase “600 reasons”. 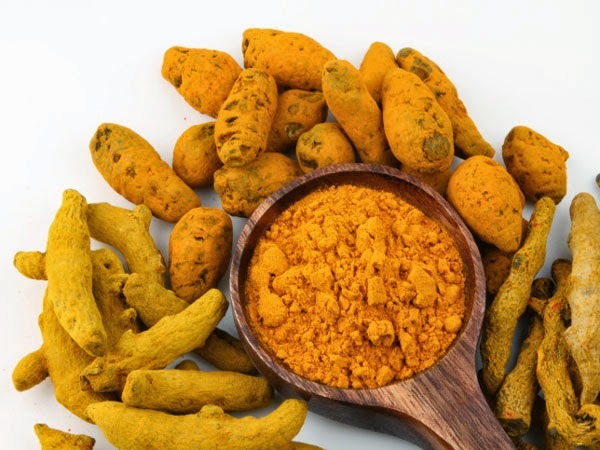 Of the 110,000,000 hits on Google Web Search the first 9 are “600 Reasons Turmeric May be The World’s Most Important…” Guess what will tonight’s featured spice/herb in supper? Three of our quilts and wall hangings are on their way to Cabarrus County Splash of Color Quilt Show in North Carolina - Warhol's Itch, I Really Love Lucy, and EssbeeCon. Work continues on both our new Equality and our E-TBA quilt and wall hanging projects are in the make. 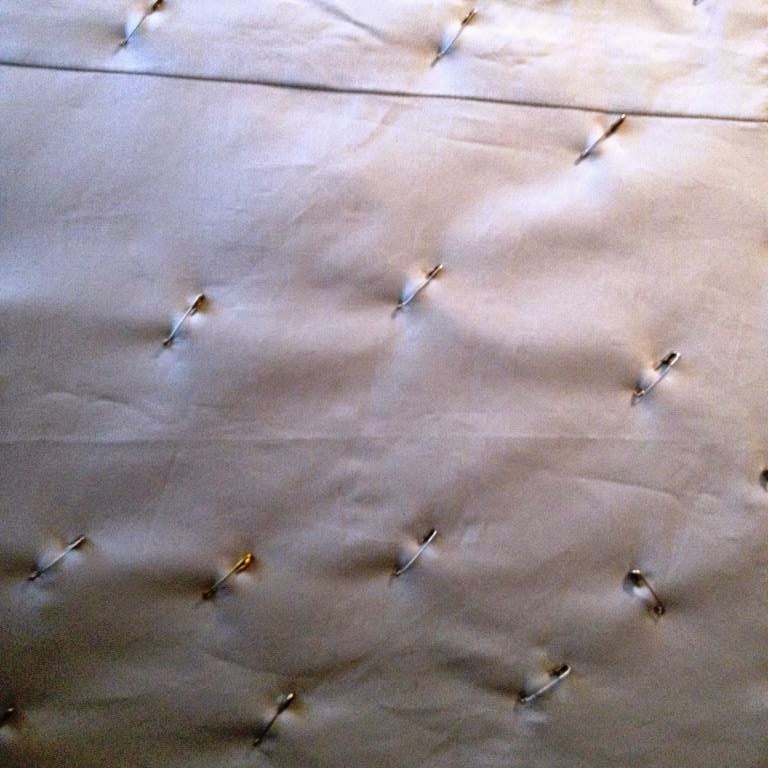 The inner top of our new Sleep Jezebel has been completed. We think we have found the fabric for our Ladies on The Boardwalk wall hanging venture. Also, currently on the road are our BW 1950, BW 2010, Light Bringer, Sea and Sky, and Diamonds. Check for updates and our other projects at our Quilts SB site or Quilts SB FB page. All the horizontal line edges of our new Afghan #5 have been sewn together. Now the vertical ones await. The length of our Afghan #6 continues to grow, Check out details and updates at our Afghans SB site and our Afghans SB Facebook page. Jim’s Trek has now recorded 47,381 pageviews and 629 posts. Not bad for this crazy little undertaking. Right now I am sitting in the dark at the Family History Center where I volunteer every Thursday. At least the computers are working; the lights and the air-conditioning are not on. All-things-being-equal I will work for a while...but... Hey I'm a volunteer. No ac in Tampa, in August. I do not get paid for the job. This morning I made up my mind that I would at least finish 21 miles on my Schwinn 170. I did pedal 22.1 miles; my grand total to date is now 12,246.3. I am now headed north, still on the North West Coastal Highway and I am once again in Western Australia. I think I will be in Western Australia for the next couple of months. Western Australia is one massive big lot of sand and dirt. Lights and ac didn't come back on. Packed up and gone home. 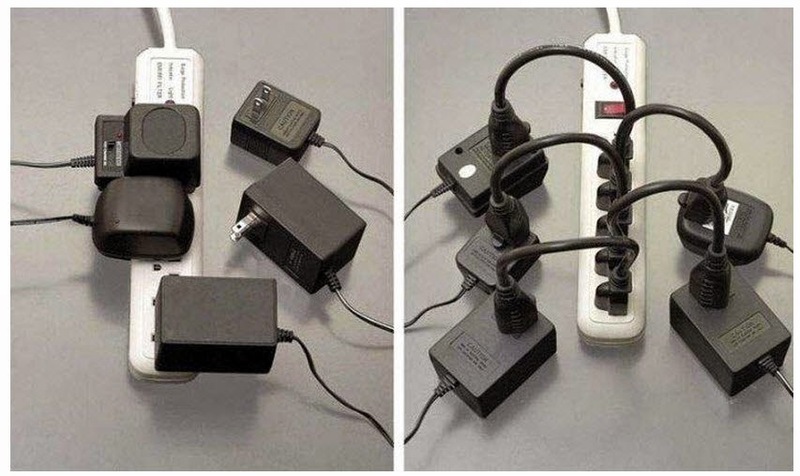 And I have to get me some power strip liberators. Pack of 10 available at Amazon. Ask if you must. I definitely welcome any comments or thoughts or ideas. Please feel free to contact me at Jim’s Trek. This morning I cycled 21.7 miles on my Schwinn 170. I was overzealous when I wrote up my total miles yesterday. I made a mistake. I now have only pedaled 12,221.5 miles. I miscalculated and I thought I was going to turn over 12,300. I’m off by about 4 days. And what’s a difference of 78.5 miles? Today I am still virtually located in Western Australia and I am headed north on the North West Coastal Highway. I am at the intersection where Greys Plain Road meets the highway. 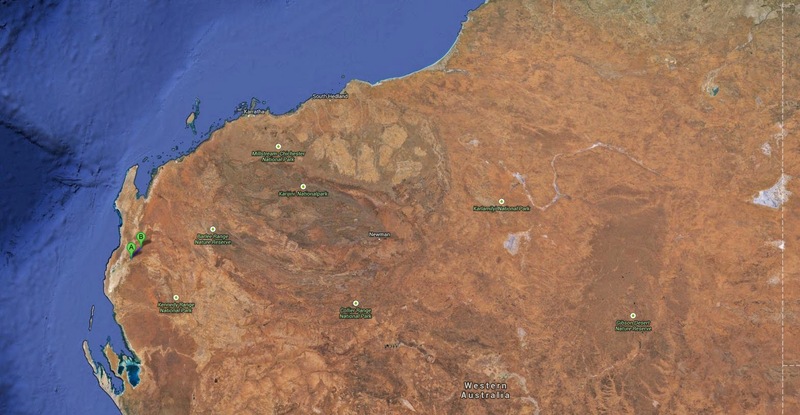 Also I am just about due east of the coastal town of Carnarvon, population about 4,600. 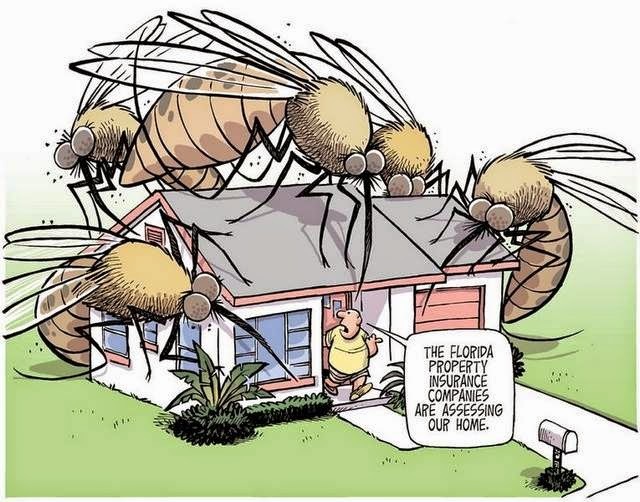 The political battlegrounds for Governor are being drawn in this sunny state of Florida. The question is who to believe…or still, is this an election of the better of two “evils”? I am really trying to get my head around the lack of what appears to be perceived facts and campaign innuendos. Am I missing something? Have we become so "dumb-downed" that we need to have labels in an attempt to make sure that we understand what we are reading? First we have spell-check...and now we have "satire-check". Is the next "think-check"? The definition of "cross-check" is to "verify (figures or information) by using an alternative source or method." AI, I hope, does not mean that an algorithm should be thinking for me. From The Washington Post, the article by Alexandra Petri “The Facebook Satire label is a great idea (SATIRE)". And I just like thought provoking simple statements. Ask if you must, and yes Radar is recovering. A bit doped up but recovering. I definitely welcome any comments or thoughts or ideas. Please feel free to contact me at Jim’s Trek. Be healthy and enjoy your day. Visine works. 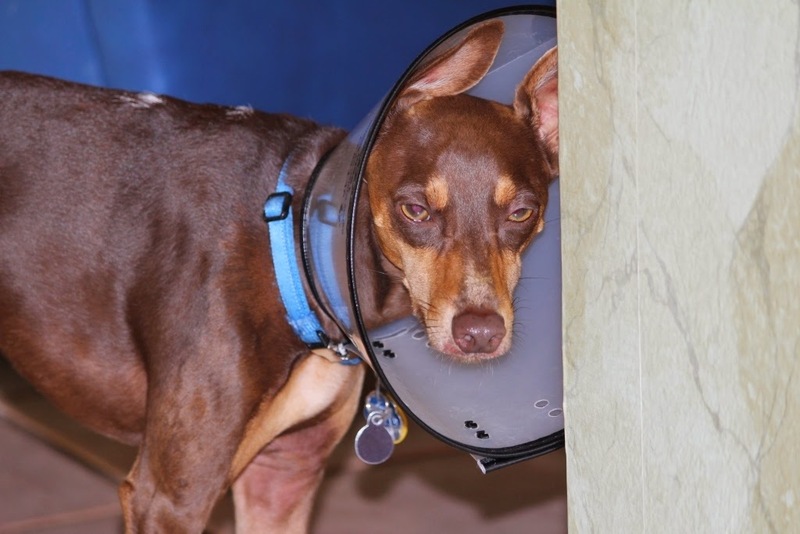 Radar – Before coning – After coning – Not too damn pleased, one would venture to guess…and just a bit spaced out on antibiotics. He’s fast asleep right now sitting with me on my chair at the PC. Today I cycled 21.9 miles on my Schwinn 170. I am 0.2 miles short of 12,200 total miles. In 3 days I will hit my 600th day cycling and keeping up my routine on my Schwinn Fitness cycles. 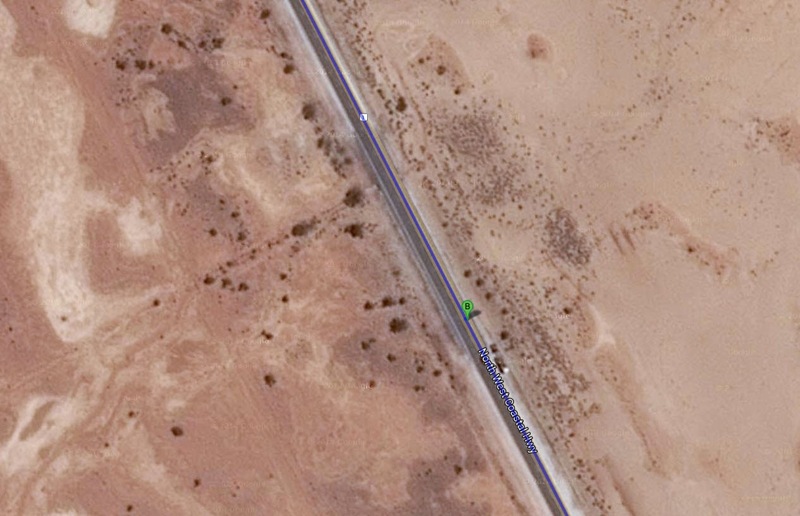 And I am located, virtually, on National Route 1 in Western Australia just south of Bush Bay New Beach Road. Yes, the Google Maps’ image looks the same as yesterday…and the day before that, and the day before that. There is one thing you can say, if I set my mind to do something I do it. I am unfailing…somewhat boring, but consistent. 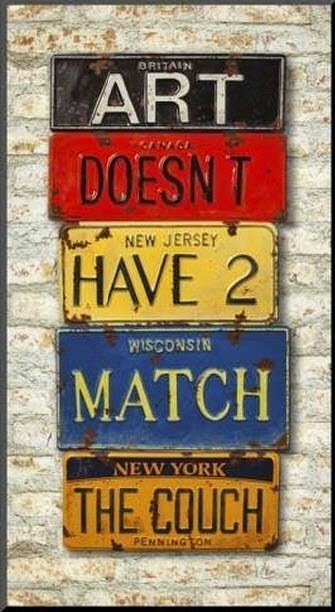 I now have 928 miles to go to my next destination and goal point. This morning my fat percentage registered 18.0%. I have been able to reduce my total fat percentage by 2.0% since I began tracking on March 13, 2014. I found this visual online. I do not know what my percentage was before the March 13 date but I believe I may have fallen somewhere between 30% and 40%. I have lost 12" on my waist measurement since I began on December 2, 2012. 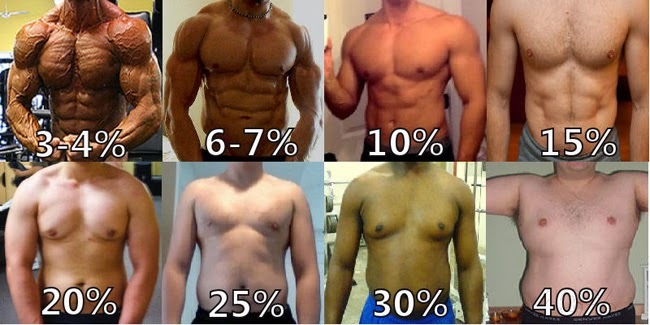 My current fat percentage goal is to get to 17.0%. At 62-and-a-half one still has to have dreams. Not much more to write about today. Just thinking about some of our current designs, both quilts and afghans. Possibility of spaghetti and meat sauce for supper. I have to examine our quilt locations and project schedule. Also I’ve got to continue with my new re-do of my genealogy work. Pageviews for Jim’s Trek now total, at this point in time, 47,219. 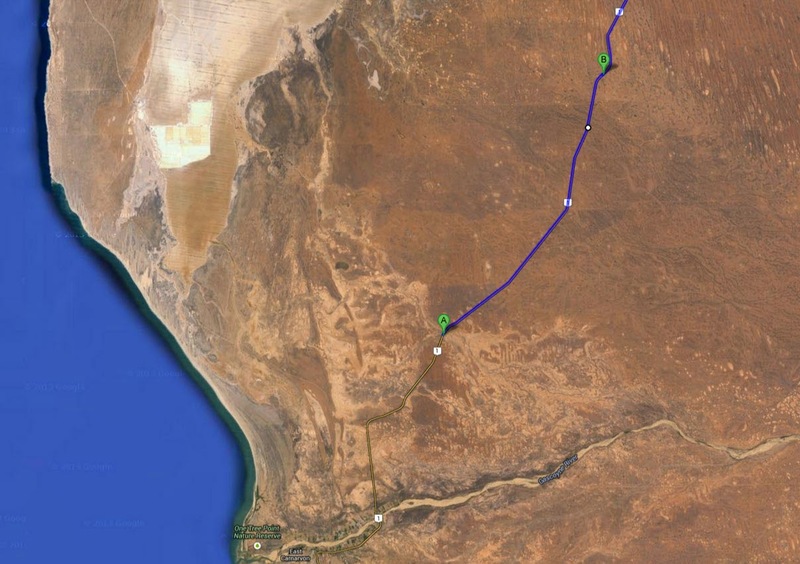 Day 166 – (AD 596) – Jim's Trek Part III – 21.9 Miles – Any of You Would think I am Not In Western Australia on My Schwinn 170? 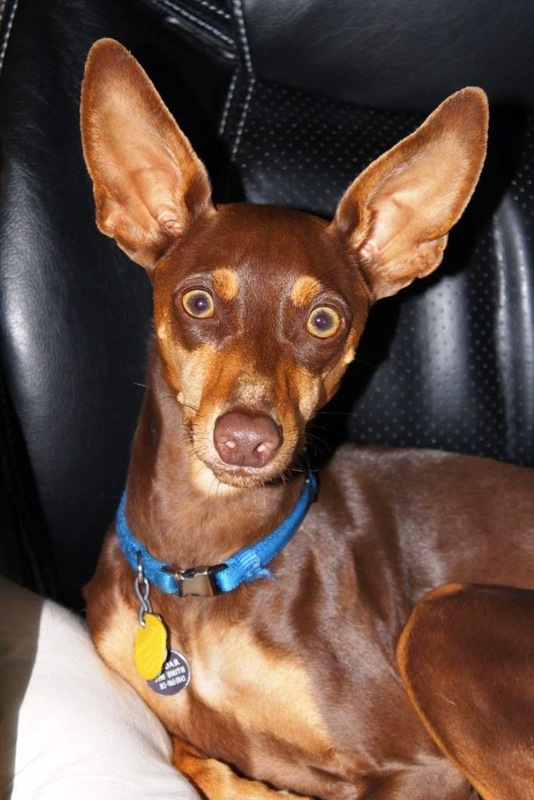 An early morning today… Had to get up and take Radar, aka Reddy, you know the wicked-looking puppy with the humungous ears, to the Vet’s. Poor tyke has a sort of swelling under his armpit and most definitely was a bit of agitated and somewhere else. Just waiting for the diagnosis, with the three other members of The Pack huddled around me as the clouds have just broken open. Yes, it is Tampa in the good ole summertime. But in the meantime I just completed 21.9 miles on my Schwinn 170. My total miles to date now equal 12,177.9; 19,598.5 kilometers. I need to ask. Is it my imagination or has nothing really, really changed? I read or turn on the news and all the stories seem to have a warped sense of time for me. Pope in Korea; Russia and the EU and Eastern Ukraine; Ebola gloves and fatalities. Riots and National Guard in Ferguson; Ransacking of make-shift hospital in Liberia; Gaza and West Bank and international waters; Governor of Texas, alleged abuse of power; Air roles in Iraq; Former VA Governor trial; Health systems’ cyber-attack. Have we not learned anything? And everyone blames someone else. 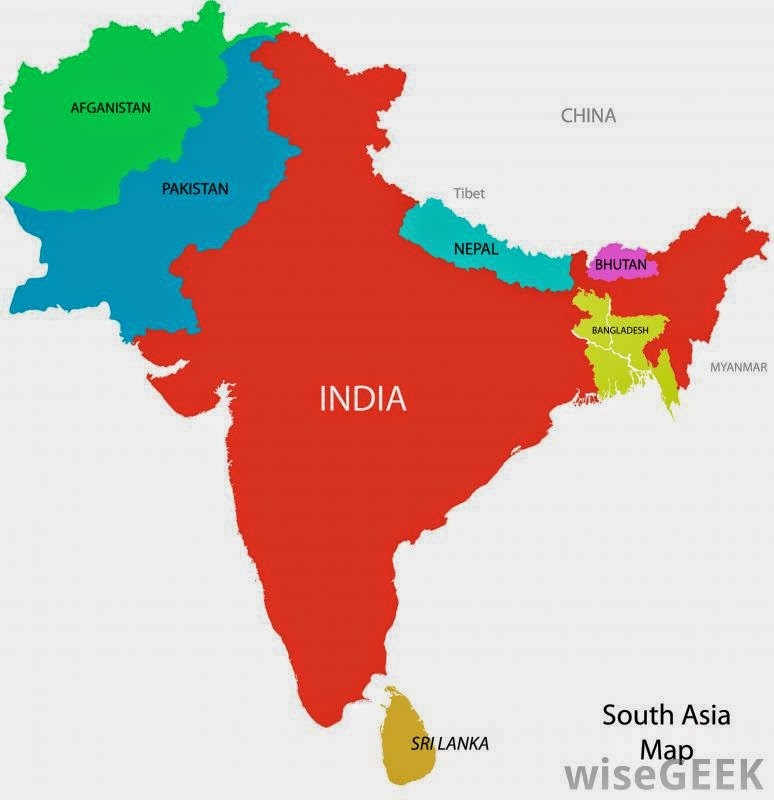 Is the world getting smaller? 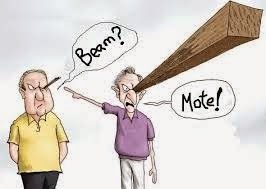 I do not claim any type of “holier-than-thou” stance in this world, but “Why do you see the speck that is in your brother’s eye, but don’t consider the beam that is in your own eye?” (Matthew 7:3, World English Bible). And “O you who believe, why do you say what you do not do?” (Quran 61:2). 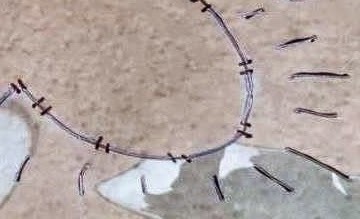 And again “I wonder whether there is anyone in this generation who accepts reproof, for if one says to him, ‘Remove the more from between your eyes,’ he would answer, ‘Remove the beam from between your eyes!” (Torah Arachin 16b). I am not, or claim to be a religious scholar. Just asking. Pageviews for Jim’s Trek now total, at this point in time, 47,155. My Schwinn 170 pedal report: August 16 – 21.8 miles; total miles to date – 12,156.0. 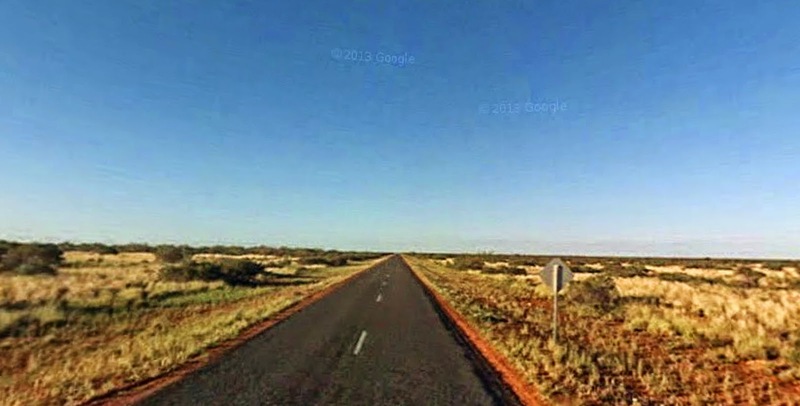 This morning I am located, (the "B" is me), on the North West Coast Highway and it looks like I am in the middle of a desert. And it is dry. I now have 973 miles to go to get to my next destination and goal point. Here are two somethings to think about. 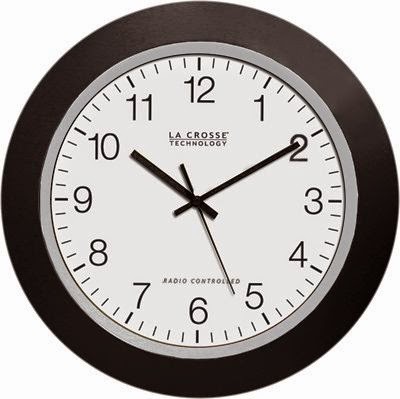 Even if an analog clock is broken, at least it shows the correct time twice a day. And most of the dust in your home is actually dead skin. Apart from my blogs, especially Jim’s Trek, I write journal pages every morning. Over the past 403 days I have been able to write 308,094 words. Thanks to my guide, Julia Cameron The Artist's Way, I have been able to incorporate her idea of writing at least 750 words every single morning the first thing after I get up. I do write using a keyboard and I am using the website 750 Words. I am an ardent advocate of typing for myself and, after some research, it is possible to accomplish the self-same goals. Supper last night was very good, even the second helping. 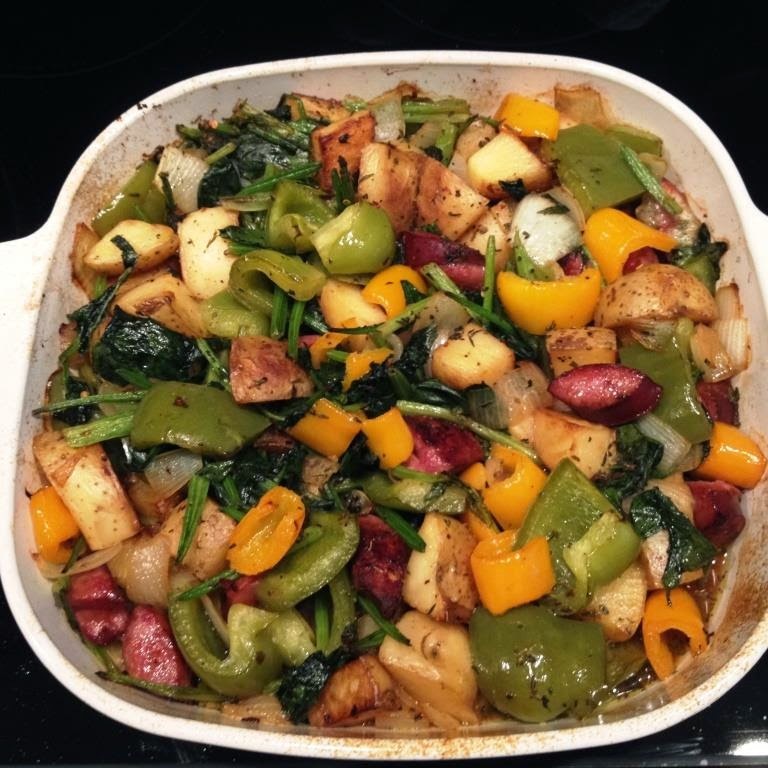 Baked sausage, onion, green and yellow peppers, potatoes, Chinese spinach, white wine, chicken broth, and a bunch of seasonings. My blood sugar count dropped 7 points to 93. And supper was very, very good. Half done with the 2nd new stencil that I am working on for our new Equality quilt. Pageviews for Jim’s Trek now total, at this point in time, 47,098. Not bad for this weird journal.